The "Maitres de l'Affiche," were issued as separate numbered sheets, referred to as "plates" (PL). They were numbered, with the printers name "Imprimerie Chaix," in the margin at the bottom left hand corner, "PL.1" to "PL.240." In the margin at the bottom right hand corner of each, is a blind embossed stamp from a design of Cheret's. Each overall plate measures approximately 11 3/8 in. x 15 3/4 inches. (29cm x 40cm). 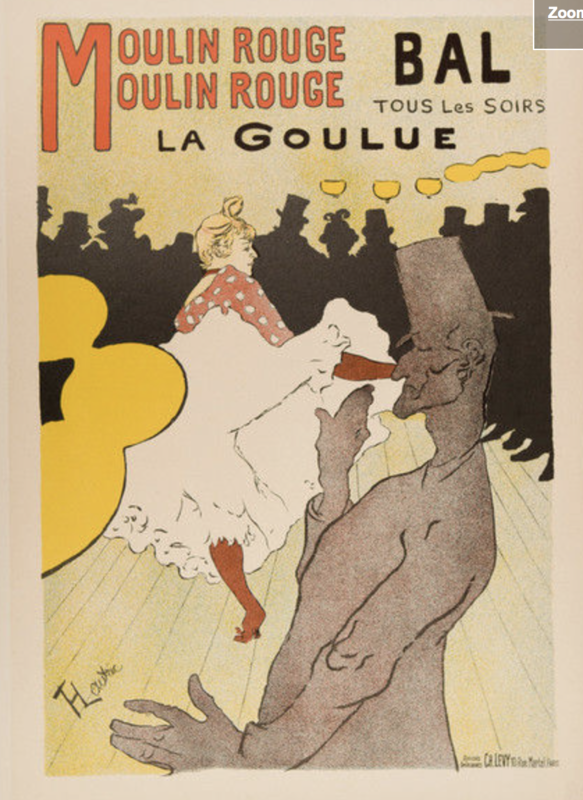 This print is the most wanted print by the great Toulouse Lautrec.